Tutorial and product videos online. Click on a thumbnail to watch video on YouTube. GPS, GLONASS, Galileo, BeiDou and QZSS RF front end for software receivers. 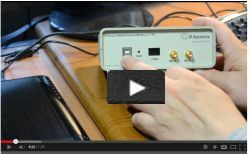 Up to 1 sec coherent tracking with software receiver.